"The rutabaga doesn't fall far from the tree." Vinnie Pinchey is an idol. Vinnie Pinchey is an ambition. Vinnie Pinchey is an attitude - of the most selfish, self-centered, spoiled society that has ever been. Vinnie Pinchey begins with a plan, a marketing scheme for a select few to make massive amounts of money by targeting virtually every market with the product called Vinnie Pinchey. It starts with a doll, an image, a virtual person created to be every woman's goal. Women want to be her, will buy everything from makeup to clothing to exercise equipment to specific food to cars, will spend hours upon hours watching her on their screens, in order to make themselves look and act like her. Girls must own the Vinnie Pinchey doll and all the accessories and wear matching clothes, while men and boys focus on the Vinnie Pinchey virtual reality challenge and all the tools needed to pursue it. The whole of society becomes so obsessed with expecting to receive what they want right now, no one cares that families are being ripped apart by selfishness and greed, or that they have simply ignored planning for the future. When society begins to collapse, is it already too late to be saved? Can anyone bear to live without Vinnie Pinchey? 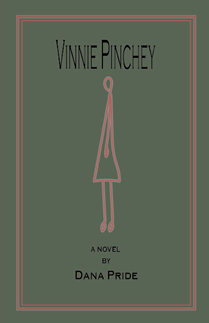 #VinniePinchey Now available from Amazon!